I discovered this post in my drafts, obviously it is a year old but brought a smile to my face as I remembered a great time so I shared it despite the poor timing. Low clouds drift across the sky, a single drop of rain strikes the windshield, followed by an ever increasing number. Reaching out, I adjust the volume of Snap Judgement as the drops become a downpour. A couple of hours later I find myself slowing in Amana, IA. 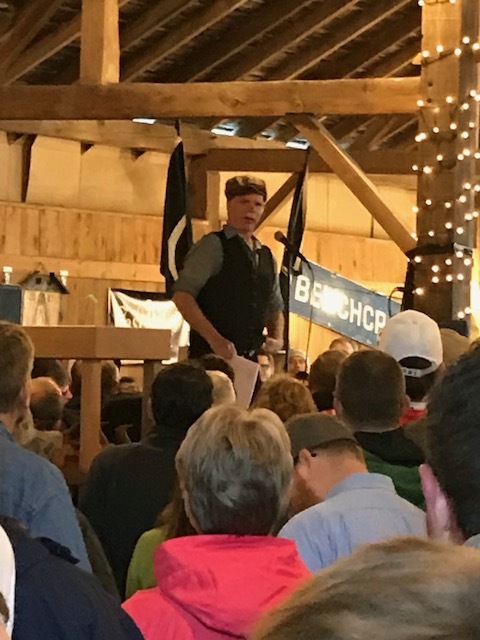 The rain, now a steady drizzle, could not dampen the spirit of people huddled under umbrellas waiting to enter the barn for Roy Underhill’s presentation. Walking towards the crowd, Norway John and I exchange a handshake, a smile and enter the barn. 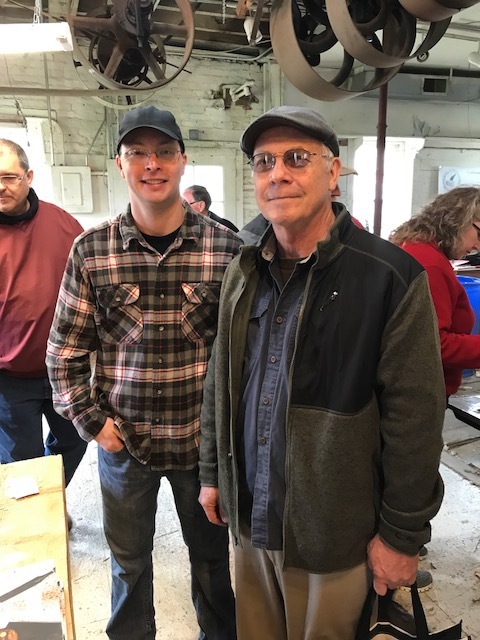 Knowing what to expect at Handworks greatly improved my experience, As pointed out by Shannon Rogers on Woodtalk, Handworks can be crowded, however people are polite and will easily step aside if you want a closer look. Handworks ebbs and flows and with a little knowledge you can get the most out of it. My plan was to enjoy the people and later in the day focus on the the specific, tools and vendors that have drawn my interest. The initial push into Festhalle for Roy Underhill’s talk and the giveaways, attracts the majority of people, so once finished I walked to the outermost buildings and worked back to the barn. By mid afternoon the crowd will thin and although tired, vendors will be relaxed and less busy. Walking between buildings I quickly spotted Ben and the new guy from FineWoodworking Magazine. Handing them an OrePass Sticker and thanking them for ShopTalk Live, they passed me a shirt! More importantly I got a chance to talk and enjoyed a few thoughts and the advice from New Guy to try a Japanese Plane as a little relief from Hip Pain. I’m really glad to see them here enjoying the many vendors and companionship of their audience. Next stop was Texas Heritage Woodworks to say hello to Sara and Jason. Two of the nicest people I know and a great companion on Instagram. Their Tool Rolls and the new Saddle Bag was very tempting! Further along I stopped by Plate 11 workbench Co. Their work benches could be found throughout Handworks, these give me an opportunity to compare heights, components and styles. I did learn a trick with the Moxon Vise. Springs inserted between the jaws make quite a difference. 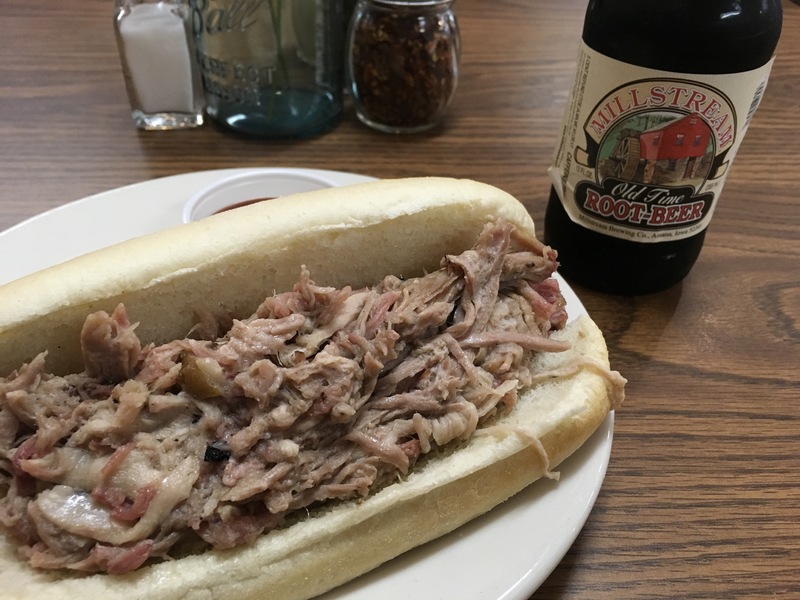 Lunch at Handworks has always baffled me, seems that there would be lots of options; yet again I suffered through a mediocre sandwich however I met Kent. Really enjoyed getting to know him over a few bites. 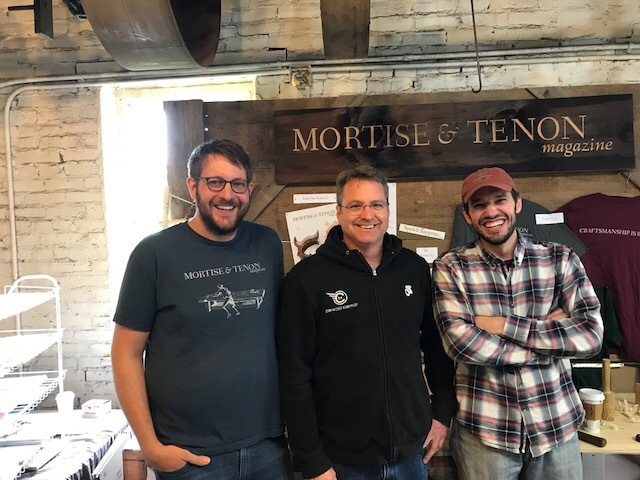 I spent a few minutes talking with the Guys from Mortise and Tenon Magazine, had some good laughs and a photograph taken by the owner of Dubuque Clamp works. 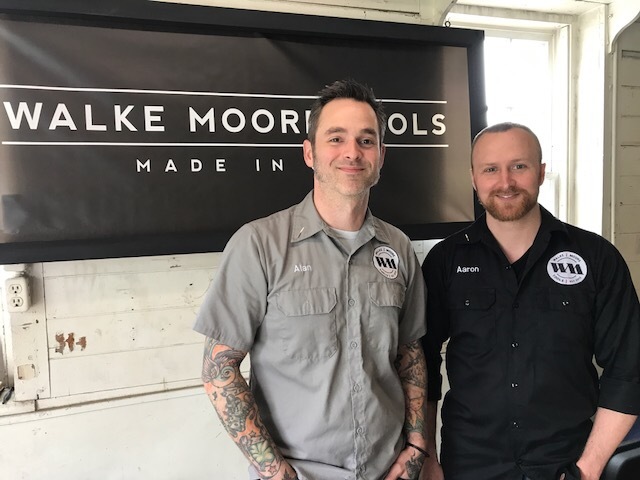 Spending time with Mark Harrell from Bad Axe Tools was entertaining and educational as always and his son made a valiant effort to sell me a new D8 saw. 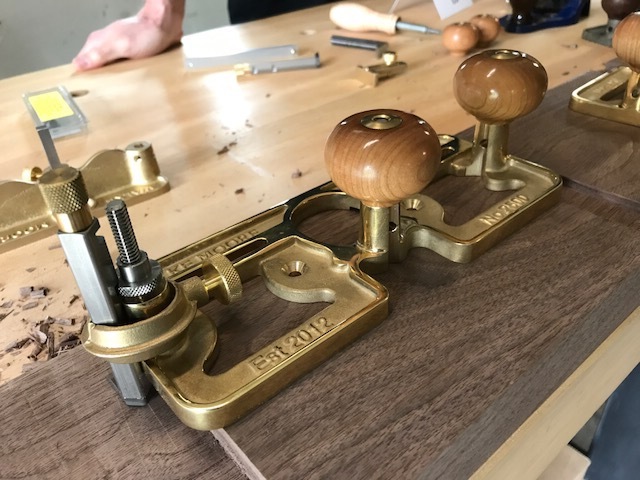 Before leaving time was spent with Walke Moore Tools looking at their new Router Plane. It was fun to see and make comparison to the original Preston Plane. Overall it was a fun day and I look forward to the Next Event. Great post, Richard—thanks for sharing! How’s your D8 holding up? Love it, it’s about to have a great workout building a new bench.